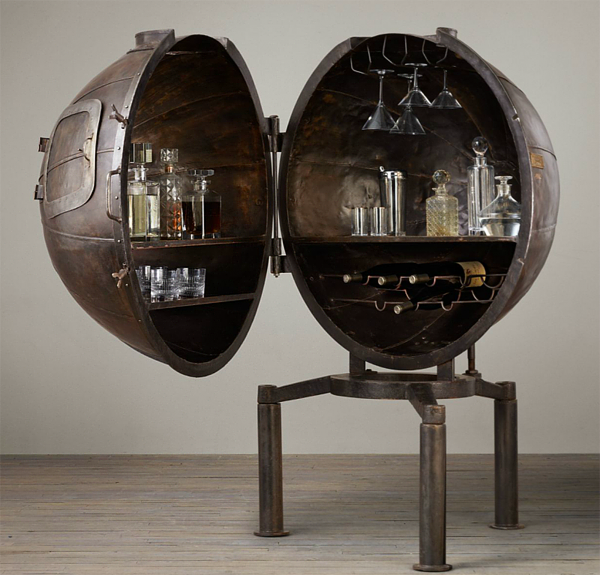 Dating to the 1920s, a former light bulb-testing machine has been ingeniously repurposed as a bar cart to shelter spirits, wine bottles and hanging glassware. 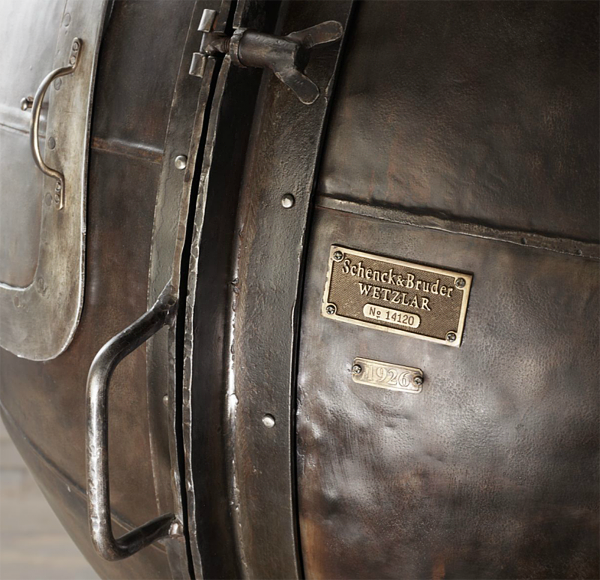 The original, nearly a century old, was salvaged from a factory in Germany. 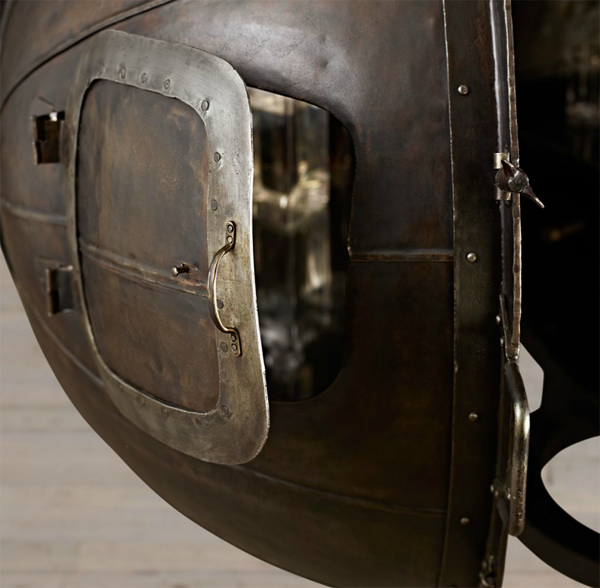 Crafted of iron, a hinged segment opens to grant access to bottles and barware, while the small hatch opens, too. 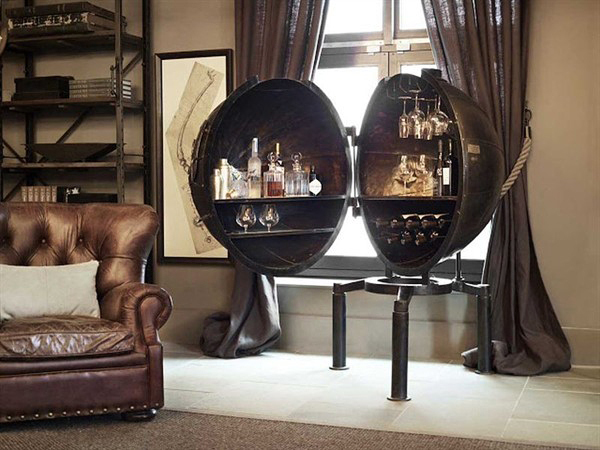 Surely this US$1995 masculine-looking bar would make an awesome addition to any bachelor pad or man cave! 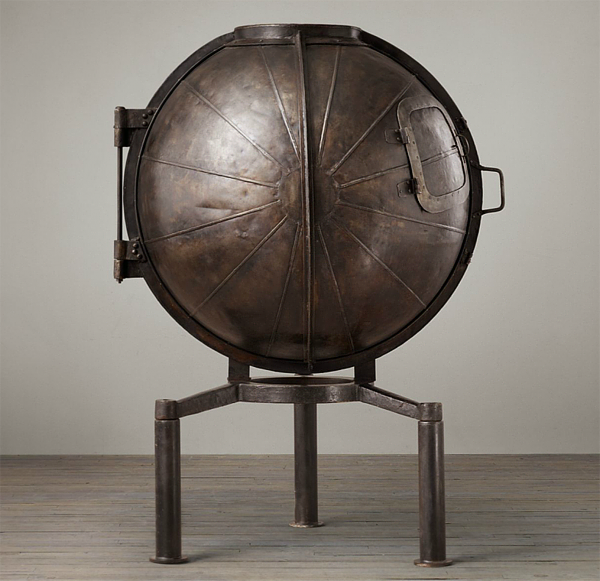 Want to own such unique bar – visit Restoration Hardware.